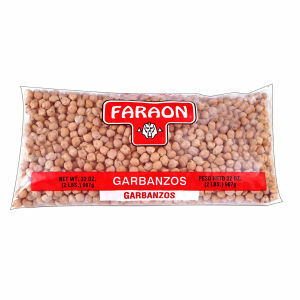 These garbanzos or as some call it "chick peas" have been carefully selected and packed for your enjoyment. High in fiber, no fat, it is an excellent compliment to your meals, or it can be your main meal. Garbanzo lovers will love the Faraon quality.